Facebook's fourth quarter financial statement revealed some intriguing new stats for the social network. For the first time in the company's history, the number of mobile daily active users surpassed the number of users checking Facebook on the web. 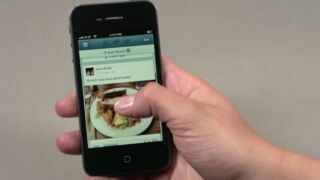 With the smartphone and tablet markets seeing their numbers increase dramatically during 2012, it shouldn't come as much of a surprise to learn more people are using mobile devices to stay connected to Facebook. Considering in September only 126 million people used Facebook on mobile devices, and on average, 618 million people used the website daily in December, you can see why the network is so happy with the mobile growth. "In 2012, we connected over a billion people and became a mobile company," said Mark Zuckerberg, Facebook founder and CEO, in a statement. "We enter 2013 with good momentum and will continue to invest to achieve our mission and become a stronger, more valuable company." For its part, there were still 1.06 billion monthly active users on the web, which was a 25 percent increase year-over-year. Though the monthly users on mobile were barely able to reach half of the web's total, the 680 million mobile users were still a 57 percent increase when compared to last December. That dramatic increase in mobile visits paid some impressive dividends for the advertising revenue, as Facebook's app was responsible for 23 percent of the total, up from 14 percent in Q3. Overall, the ad revenue for Facebook hit $1.33 billion (UK£844 million, AU$1.28 billion) during Q4, which was a 41 percent increase over 2011, and accounted for 84 percent of the total revenue. In October, Zuckerberg promised Facebook would "monetise better per amount of time spent on mobile than desktop." It looks like that decision is already working to great benefit, and should continue to do so into 2013.